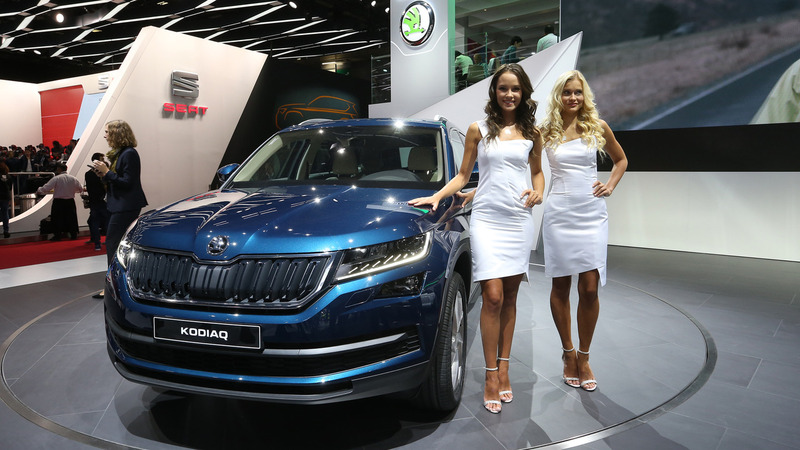 Czech automaker Skoda’s first large SUV, the Kodiaq, has made its public debut at the Paris Motor Show, following what felt like years of rumors and teasers, and the press launch earlier this month..
With SUV sales booming around the world - particularly in China - Skoda sorely needed a model that could take on the likes of the Hyundai Santa Fe and Kia Sorento. And the Kodiaq looks like a competitive prospect. Christian Strube, Skoda board member for technical development, said: “The Skoda Kodiaq offers all of our brand’s strengths: well-thought-out functionality, superior interior space and excellent value for money. So how does the Kodiaq stack up? Let’s start with that trunk, which is truly enormous with a volume of 25.4 cubic feet (720 liters) with the rear seats up, and 72.9 cu ft (2065 l) with the rear seats folded down. That’s significantly more than the aforementioned Hyundai and Kia, and even more than Skoda’s own, legendarily capacious Superb wagon. Passengers in the optional third-row seats should have plenty of space, then. In the standard, two-row layout, the rear seats can be slid back by up to 7.1 inches (18 centimeters). The Kodiaq uses VW Group’s modular MLB platform; at 185 in (4.7 meters) long, it’s one of the biggest iterations. And yet it’s notably light for a car of this size, the base model tipping the scales at just 3201 pounds (1452 kilograms). That base model is powered by a 125 horsepower (92 kilowatt), 1.4-liter TSi gasoline engine. That engine is also available with 150 hp (110 kW), and there’s a 2.0-liter TSi motor with 190 hp (140 kW). Most European buyers will, of course, choose the 2.0-liter TDi diesel option, which comes in 150 hp and 190 hp flavors. Between the various engines, there’s a slightly bewildering array of transmissions available, including a six-speed manual gearbox, and six- and seven-speed DSG dual-clutch ‘boxes. Then, depending on engine and gearbox, there’s the option of front- or four-wheel-drive. A flotilla of driver aids come as standard equipment or options, including autonomous emergency braking, surround-view camera, rear obstacle alert and lane keeping assist. 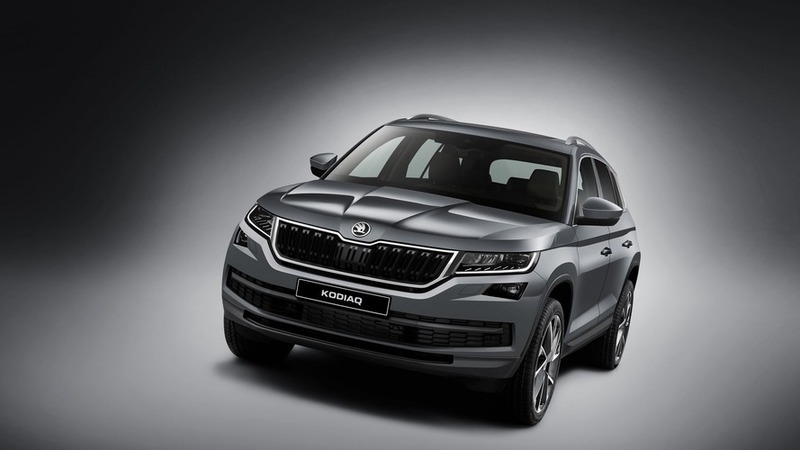 Three grades of infotainment system are available, and the Kodiaq is the first car to have the new Skoda Connect app system. It also has no less than 30 “Simply Clever” features, including automatically-deploying door-edge protectors and a pair of umbrellas. The Kodiaq will go on sale early next year.